I filmed a demonstration on how I make my own stretched watercolor canvas. Stretching watercolor paper can be a pein. But unfortunately when using paper in 140 Lb weight you need to stretch it. If you don’t stretch it then it buckles when you work on it, you can’t do flat washes, you can’t paint well on un-stretched watercolor paper. Also it can be very expensive to always have your work framed. 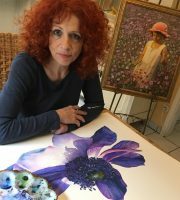 It is mostly impossible to ship your paintings with a frame as the painting needs to be behind glass and the risk is to high that the glass will broken when you ship it. 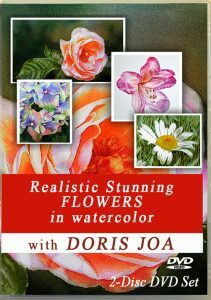 I was very happy when I figured out that I can make my own watercolor canvas using my favorite paper. I want to share this method with you. You will love this method, too, as you are now able to work on a flat surface, to not worry if your tape still is okay, you don’t need to frame your painting, because it can hang on the wall and doesn’t need glass. Of course you can then frame it like an oil or like an acrylic painting, without glass. The painting needs some varnishing to protect it. 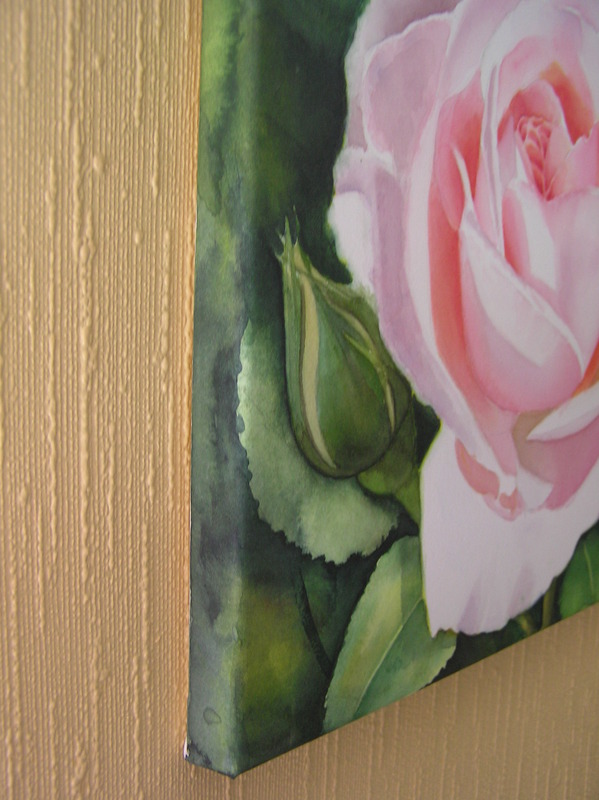 But don’t use the varnishing before you are really finished with your painting. 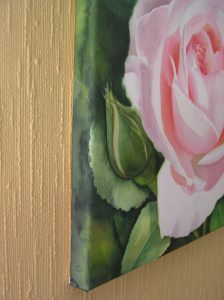 As soon as the painting is varnished you cannot apply any brushstroke again. 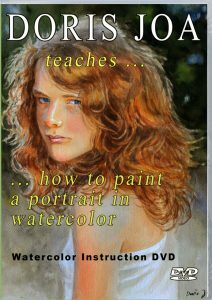 I use this method very often in my watercolor paintings. 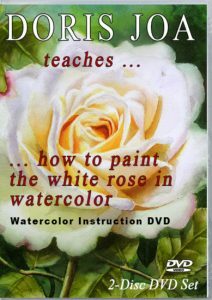 Below is a watercolor painting of one of my Rose Paintings displayed to show how these watercolor canvas look like. In the video below about how to stretch watercolor paper I use 140 Lb cold pressed watercolor paper but you can also use hot pressed paper. The weight of 140 Lb works perfect. 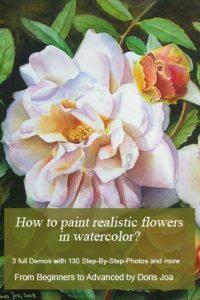 If using a heavier weight then you get very thick edges and the painting doesn’t fit well into the frame (if you choose to frame it). You get stretcher bars at any art supply shop. They are really cheap. Then put them together in the size which you want, cut your paper, wet it and staple it around the stretcher bars. It needs only a few minutes and you can do them in whatever size you want. 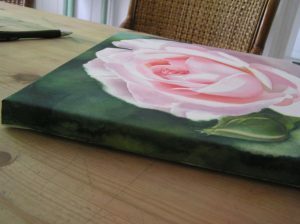 I paint on small canvas or large canvas and I just love the fact that I can paint the edges and hang my paintings without glass and without a frame (if you prefer to do this). Of course framing it like an oil painting is just wonderful. The painting of the Daylily with Butterfly is a watercolor painting on watercolor canvas – created with 140 Lb cold pressed paper. 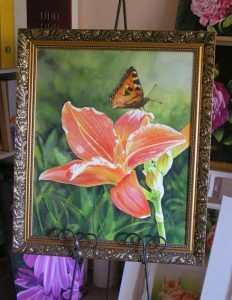 When the painting was finished I then put it in a frame without glass. The painting needs to be varnished. 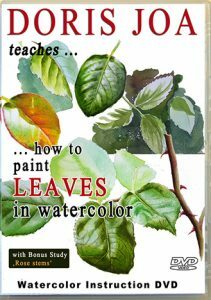 Get more free Watercolor Lessons.